New York, NY – May 6, 2010 – 2K Games and Valve today announced an agreement to power all PC versions of the highly anticipated Sid Meier’s Civilization V with many of Steamworks’ features and offer a special Digital Deluxe Edition via Steam. In addition, customers who pre-order the regular or Digital Deluxe editions of Sid Meier’s Civilization V on Steam will be rewarded with a free map pack when the game launches in fall 2010. Sid Meier’s Civilization V players will enjoy the benefits of the Steamworks’ features included in all PC versions such as auto-updating, Steam Achievements, downloadable content, multiplayer matchmaking and more. Sid Meier’s Civilization V Digital Deluxe Edition will expand players’ conquests with the new Babylonian civilization and their ruler, Nebuchadnezzar II (c. 630 – c. 561 B.C.). As King of Babylon, gamers will be able to expand their empire with advanced Babylonian Bowmen to rightfully earn the title of Nebuchadnezzar the Great. Sid Meier’s Civilization V Digital Deluxe Edition will also include an in-depth “Behind the Scenes at Firaxis with Civilization V” video feature, as well as the game’s epic soundtrack. Gamers who pre-order any version of Sid Meier’s Civilization V from Steam will receive the downloadable bonus content, Cradle of Civilization Map Pack: Mesopotamia, for free when the game is available. The map pack will let players experience the traditional Western and Middle Eastern “Cradle of Civilization.” The pack will include the Fertile Crescent with the Nile River valley to the west and extending east down the Tigris and Euphrates river valleys to the Persian Gulf. Leaders will be able to explore new terrain, cultures and conquests. 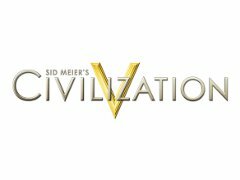 For those who can’t wait for the immersive experience of Sid Meier’s Civilization V, 2K Games is proud to offer a Steam-wide sale on all previous Civilization titles for a limited time beginning today. Sid Meier’s Civilization V is not yet rated by the ESRB. For more information on Sid Meier’s Civilization V, please visit www.civilization5.com. Firaxis Games™ is one of the world’s premier game development studios, and home of legendary designer Sid Meier. Firaxis has developed some of the most successful and award-winning computer and video games on the market today including: 2005 PC Game of the Year – Sid Meier’s Civilization IV®, the expansions Civilization IV: Warlords®, Civilization IV: Beyond The Sword™, and Civilization IV: Colonization™, the blockbuster Sid Meier’s Civilization® III series, Sid Meier’s Pirates!® (PC, Xbox® and PSP®), Sid Meier’s SimGolf™ and Sid Meier’s Railroads!™. Firaxis legacy titles include the Sid Meier’s Civil War Series! ™ (Gettysburg!, Antietam!, and South Mountain), and the Sid Meier’s Alpha Centauri® series. In 2005, Firaxis Games was acquired by Take-Two Interactive Software, Inc., joining its 2K publishing label. The company released Sid Meier’s Civilization® Revolution™ for console and handheld platforms to great critical acclaim and is currently developing Sid Meier’s Civilization V® for the PC and Sid Meier’s Civilization® Network™ for Facebook.